Online ordering menu for Sakura Japanese Restaurant. Looking for Japanese cuisine in Newburgh, Indiana? Then you've come to the right place. 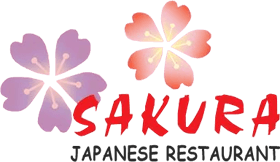 Here at Sakura Japanese Restaurant, you'll find fresh sushi and authentic Japanese dishes. Our menu features soups, salads, Udon, Tempura, Bento boxes, and Hibachi! We also serve some Chinese cuisine dishes! Try one of our special rolls such as the Rainbow Roll, Volcano Roll, and the Mango Tuna Roll! We are located on Old Indiana 260 between County Rd. 480 and Meadowood Dr. We're north of the Ohio river and just a couple of miles away from Deaconess Gateway Hospital! Order online for carryout! We have special prices for beer and wine from Monday to Friday!